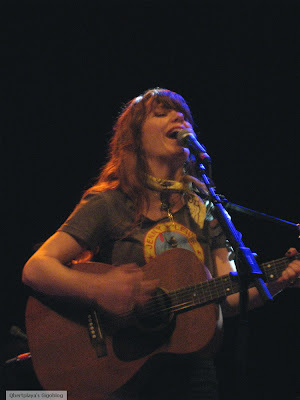 The Hotness aka Jenny Lewis came back for a small venue gig at Music Hall of Williamsburg, and like always, I dug her something bad. 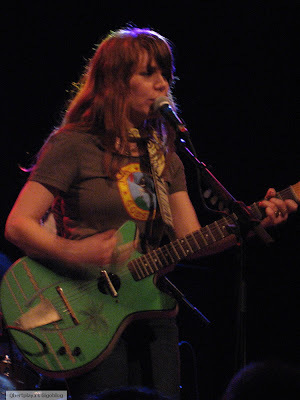 In contrast to the first time I saw her without Rilo Kiley over three years ago at Angel Orensanz promoting her first solo effort, Rabbit Fur Coat, with the (kinda creepy but not-so-much any more) Watson Twins, Jenny was much looser this time, especially having toured her second solo album, Acid Tongue, a whole bunch by now. 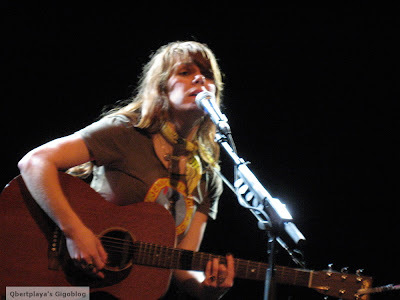 This gig was quite a treat -- she had more diverse material from which to pull, and even opened with a beautiful solo acoustic "Silver Lining" from Rilo Kiley's last album. 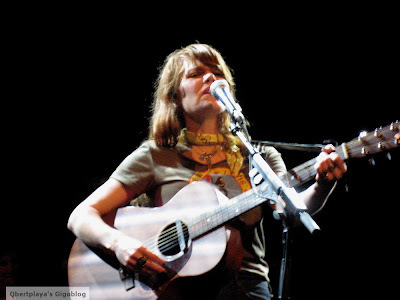 Plus, we got to hear her fun cover of The Traveling Wilburys' "Handle Me With Care" (see below), which I believe was missing from that 2006 show. 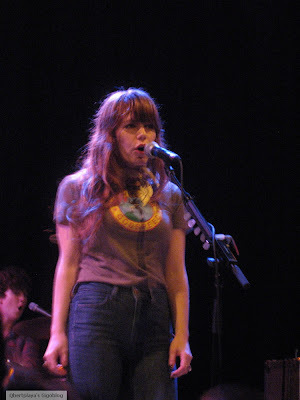 I still think her boyfriend, Johnathan Rice, reminds me of the poor man's Michael Pitt, but, Jenny, man....le *sigh*. 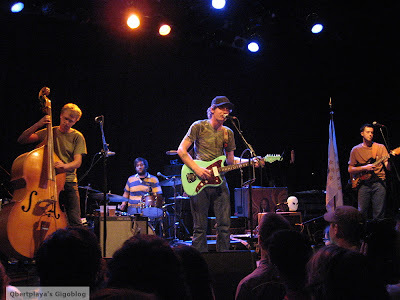 Oh, and we did get to see the opener, Deer Tick, about whom I knew nothing other than da blogs love 'em. They were a fun mix of country, rock and jangly blues, which kept me entertained, including fun covers of Tom Petty's "Breakdown" and John Cougar Mellencamp's "Authority." Their lead singer had kind of a nasally, whiny voice that took me some getting used to, but once I settled in, it worked, I suppose.